The October 2013 meeting at the permanent Mariapolis in Portugal, which brought together 75 heads of commissions, associations and EoC business parks from 16 countries, took place in an atmosphere of open and fruitful dialogue. Everyone had an opportunity to share thoughts and ideas that had been gathered during preparatory meetings held in their respective countries. The goal was to define the bold outlines for the development of the EoC project over the next few decades (2013 –2031). It was the first time that people responsible for the development structures of the EoC were coming together to take stock. These included the commissions dedicated to overseeing education in the culture of communion; dialogue with scholars and students; the needy; and EoC member companies. To these were added businesses from production centers; commissions in several countries for the development of the EoC and for cooperation with civil society and the economy in local regions. It turned out to be a valuable sharing of experiences from very different social groups. The result of this sharing was unexpected: we realized that if we had included this sharing of skills and experiences on our network we could have multiplied memberships to the EoC project and stepped up the dialogue with society in favor of a more fraternal and sustainable economy. This was the desire of Chiara Lubich when she first launched this economic movement in 1991. It is essential to be in the network and be available to associations and entrepreneurs from business parks who find the EoC appealing even if they are not aware of the spirituality behind it. And the network’s description of the EoC should include only those elements from the regulations that they would be interested in knowing. It is essential to make the business parks the EoC’s point of reference in the dialogue with the other expressions of the civil economy, as is the Lionello Business Park in Italy where the School of Italian Civil Economy is now located. The problem found in the study on saving the poor from poverty (page 5) has pointed to the need to organize a specific software application for data collection via the web concerning all the aspects of the EoC project: the poor, companies and their profits that are used for very different purposes. We also need to identify entrepreneurs who would be disposed to using their skills to train and assist in the birth of new companies. It was also suggested that future EoC commissions would be enriched by the addition of entrepreneurs, consultants, scholars, and young people with the scope of assisting people in difficulty, setting up action projects with associations for the creation of new jobs and organizing training courses in the culture of communion; and, whenever possible, to reimburse people who can devote themselves full time to this task. All of this would be carried out with the intention of keeping together the poor, the culture of giving and the enterprises, according to the original plan. The meeting concluded at the Fatima Shrine where we placed everything in Our Lady’s hands and with the announcement of an EoC World Assembly to be held in 2015, probably in Africa. During the meeting in Portugal the idea of business parks and associations working together was proposed, with an appealing mode of financing: New Entrepreneurs in Europe, the Erasmus Project for Young Entrepreneurs which supports trans-boundary trade between new or aspiring entrepreneurs and entrepreneurs who are already established in other European countries and are available for “on the job” coaching. The EoC Committee of North America (USA, Canada, and Dominican Republic) prepared a report on the activities it carried out during the year. “The EoC appears to be a concrete example of something we see every day. Many people are looking for a way to integrate their faith into their professions and have an authentic purpose in life.” The report lists the EoC businesses along with photos of the entrepreneurs and the publications produced during the year. The Commission also presented their members and individual roles. 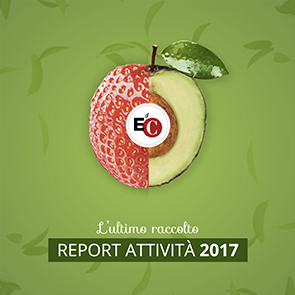 Elizabeth Garlow, head of the Commission, explained: “We have the impression that technology offers us many opportunities to improve the communication between EoC entrepreneurs, interested persons and the general public.” This annual report certainly points in that direction.